I'm so sorry I couldn't make it .... We have so much going on here horses , cattle , dogs our neighbors place to watch while they are gone for THREE years so just really busy. I know it was a blast especially at our d stomping grounds. I hope you will post some pics. Maybe next reunion !! Artiles, I hope you get better and wish you the best. The re-union was fun, and I was amazed to see how many old people showed up. I thought that I had went to the wrong place. I had a good time, and I want to thank all of the organizers for putting on a great party. WOW...I just got a chance to view the pictures of the reunion. They are fantastic..It looks like all of you had a great time. It must have really brought back a lot of memories to be at the Womens Club. I was hoping if I put on my cheaters, I would be able to see some of the name tags. Didn't work. :( It would be fun to know who everyone was. Not that I want to make another project for the committee! Great job! Sadly learned today of Gail Garrett's death last year. 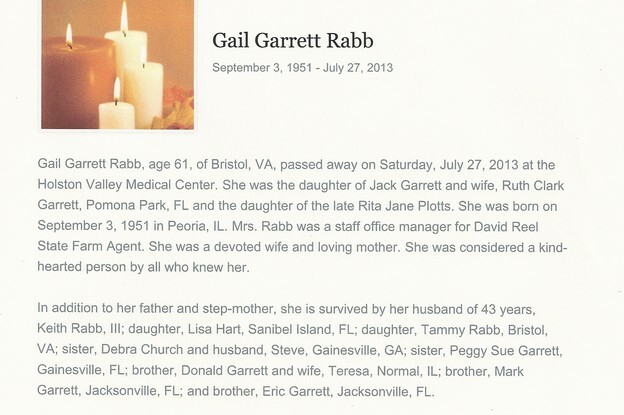 Gail was a good friend in school and later while working at State Farm. She was a sweet, kind-hearted person! 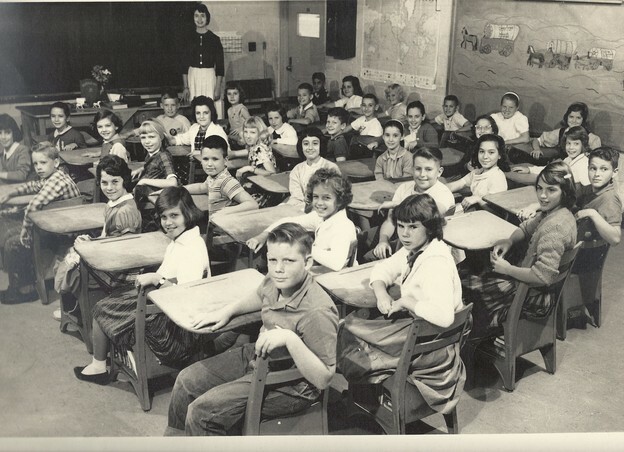 Found this picture of Miss Koone's fifth grade class at Englewood Elementary. I am in the back row sitting next to Mike Merritt (not sure what I was mad about). Chuck Menotte is also sitting in the back row. Artiles is in the front right corner in front of Beverly Jelinek. Think I recognize twelve other '69 graduates! Frances- great picture of our 5th grade class! Look 2 people to the right of you and up one- that's me- Trish Morris! Thanks for finding this great picture! Pat (as I remember you), I had recognized you and Warriner. I think Shirley Zayatz is sitting in front of you, then Rodney Hylton, Kathy Gregory and Cathy McDonald. Sam Skinner is to her left and Kathy Herndon is next to Sam. Artiles, Beverly, Maude Base, Norm Middlebrooks, Karen Atkinson and Janet Segal are in the far right row. I can remember just about everyone which is a little scary! Do you know who the boy sitting next to you is? Not sure the boys name but he looks familiar!! Now that us scary cause I remembered everyone you named!! The girl to my right is Suzanne ...? Hey, Joe! How is Wanda and Bill doing? They were some great neighbors. Sure miss them! How are you doing? Are you in Jacksonville? Pat, that is Suzanne Council. I think she moved away during junior high. Rose Culpepper is sitting in front of her. She moved to Michigan after seventh grade. Love this picture! And I recognize a few of the faces although I didn't know them until we all got to Southside Junior High....Frances, I think Mike Merritt must have been picking on you by the look on your face! No I live in St. Marys Ga. Up the road about 45 min. From Jax. Wanda and Bill retired down at their place in Suwanne. They owned rental property in Jax. and come up occassionally.I will say hi for you. Linda, I am sure Mike said something to make me mad. We were always picking on each other in elementary school! Artiles, I stayed in touch with Rose until we both graduated and then we lost track of each other. She was one of my best friends at little Englewood. We were always doing things together. Joe, please do tell Wanda and Bill that Skee and I say "hi"! Tell them to come see us when they are in Jax. We still are at the same place! Artiles, and to think all these years I thought I was your first girlfriend! What a player you were! I'm pretty sure the girl to Frances' right is Frankie Bignon! Yes, Danny, that is Frankie. Do you know who the boy is sitting in front of her? And does anyone know what happened to Frankie? She wasn't with our graduating class. Frankie married David Lea our sophmore year, dropped out of high school and stayed with her mother while David was in Viet Nam. The last time I saw her was in 1969 I believe. 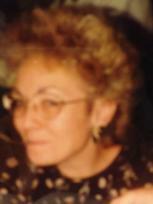 My brother was engaged to her sister Mary Ann. MONTHLY Class of 1969 Lunches. If you and your Classmates/close friends keep in touch and are interested in getting together once a month or so for lunch or dinner, please call George Farah, Lee Class of 1967. Our restaurant, Farah’s Restaurant & Pita Grill, can seat 50 people and provide a relaxing, welcoming place for you to spend time catching up with friends and/or family. Classmates from various schools in Jacksonville are already on board. Visit us on the web to see the menu, www.farahsperfectpita.com. Feel free to call George with any questions. Reservations are not necessary but if seating is a concern, please call ahead (904-928-4322).